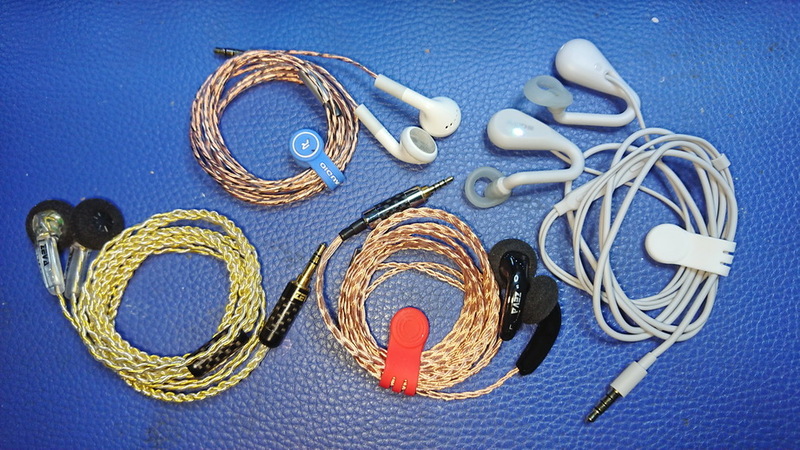 Discussion in 'Portable Headphones, Earphones and In-Ear Monitors' started by clieos, Aug 23, 2009. How is the ST-10 in the bass department. Does it reach deep and does it have impact/punch? You liked the K's LBB and I agree that it has excellent qualities in the mids and treble for that price range, but the bass was just disappointing for me. Especially for a K's product. Wondering if the ST-10 has more presence than the LBB and if it can come close to the Willsound MK2 (slightly less is ok since that's got powerful bass). K's Black Ling | Rose Mojito | Penon BS1 ... And more in my profile. Thank you! I marked the Earbud without cable just only $12 after the sale. emiliobadillio and viatraco like this. If you go to the NiceHCK EBX page (or probably nearly any other page) on the AliExpress website, you'll see a banner that says it starts 6 days from today. Does anyone realize that the Aliexpress pushed up the price and then starting the sale? ValSilva and DBaldock9 like this. Aliexpress don't, some sellers do. Some are authentic deals and some are deceptive. That's why you should use a price checker to see price history. Google search for one, it helps to make informed purchases during the sale. DBaldock9 and hungphi93 like this. ST-10 will be more neutral tonally than EBX, but if you are looking for a very noticeable upgrade in SQ, I don't think you will find it on ST-10. Perosnally however, I'll rank ST-10 a little higher than EBX. my wallet thanks you for that, lol. was thinking about it since there's the nicehck discount for it (from EA fb page) plus the ali voucher. Recently dropped my EBX and the shell came off, so looking for an excuse to upgrade. Gonna just glue it back on and wait for a more significant model release. Those who have Edimun V3 might have noticed that it comes with customized red foam with 4 smaller holes. That gives it more or less a donut foam quality (that won't over-dampen treble) but without the downside of a looser fit which tends to make dunut foam falls out easily. 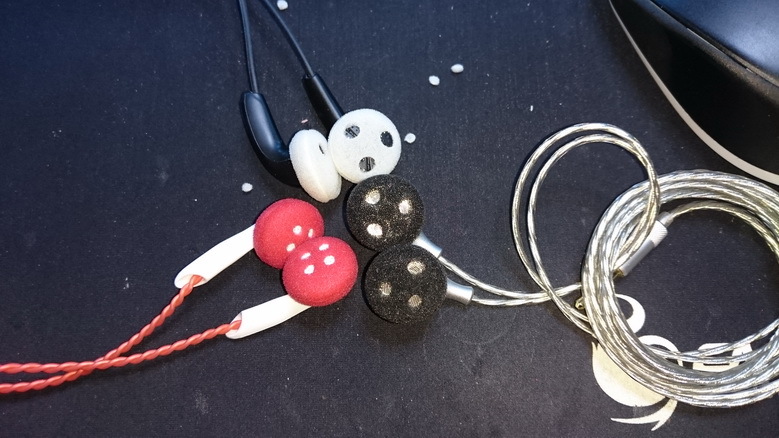 While donut foam can be a life saver for certain earbuds from time to time, it isn't particularly suitable for MX500 style front cover (VE's, BugGuy's, etc) as this kind of cover don't have any sound vents near the center, but located closer to the outer edge - so they still get somewhat over dampened even with donut foam. Inspired by the Edimun V3 foam pad, I did some modification of my own to create the multi-holes foam pad that will work better with MX500 style earbuds. The holes are located closer to the edge and thus will expose some sound vents for more treble. It also has the upside of getting a tighter fit than donut foam. 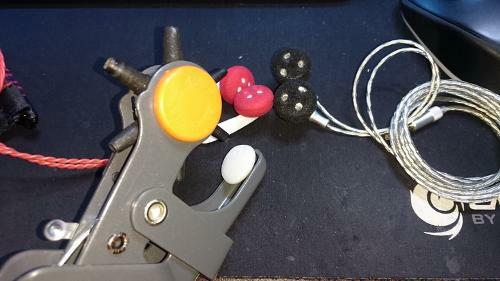 I won't say it is the perfect solution for every earbuds, but it does work better than donut foam on many occasion. Get yourself a leather belt hole puncher and punch the foam away - you won't actually punch a hole with the puncher, but it will leave a mark on the foam that you can tear away with your fingers easily. Push the foam slightly inward when punching and the hole will be closer to the edge - but don't get too close to the edge though, as you will want to leave around 3~4mm of space. This post is really good. This foam mod made my custom vido sounds meh to "oh it's good". Thanks! Thanks for this.. or maybe i just try with willsound mk2 first since its cheaper. Is mid on MK2 clear? how about Willsound MK2 vs NiceHCK EB2? Mid is relatively clear but laid back. Personally I feel that the mids are dominated by the bass on some tracks, but my preference is neutralish-bright. EB2 overall is very similar to the EBX. It has less refined tuning and has noticable dip in the mids. Sub bass is also light. The price should automatically adjust when the sale starts in six days so just wait. I think this one is unlike the previous sale pre-order (i.e., 11.11 sale). This one is off-system pre-order for gathering some hype, coincidence with the anniversary sale. The $132 price tag is most likely the marked-up price with the normal price I would expect somewhere between $84 and $132. For $84, it is still more expensive than AVCCK's lowest, but their's are now gone. In case anyone else interested, use the usual trick to get price adjusted. Just mention you've got the info from this thread. Edit: I suggest not to apply any coupons as they won't affect the final price. mbwilson111 and DBaldock9 like this. capnjack, jibberish, DBaldock9 and 1 other person like this. HungryPanda and DBaldock9 like this. ZEVA Lord.E (东皇) - this is actually the same earbuds as the DonHuang / East Emperor I posted a few months ago, but I sent it back for a slight retune. How's that Sony? Is the concept working? I assume that the bass is rolled-off to the point of no sub-bass. coolice, HungryPanda and DBaldock9 like this. I will pass this one. Note that LBB or the Titanium Bell series are meant to be used with normal (non-thin) foam pad as they are tuned with foam in mind (*the maker even suggest double foam for those really want to get a solid low end). But you are right, they are not as bass-happy as their older siblings. ST-10's bass on the other hand is fairly neutral in quantity, but reaches down really deep. It has some of the cleanest deep bass I have ever heard on any earbuds, but it won't make any bass head smile as it is not really bass banging type of situation. This STH40D is actually quite decent overall. The fit is nice as it almost 'disappear' once you put it on and the SQ is decent enough for daily use, more of a lower-mid to mid-tier overall. For the main purpose of able to listen to the surrounding and music at the same time, I'll call this a win. This is far better than Ambie's (which is also a Sony spin-off) design on both ergonomics and SQ. theoutsider and seanc6441 like this.